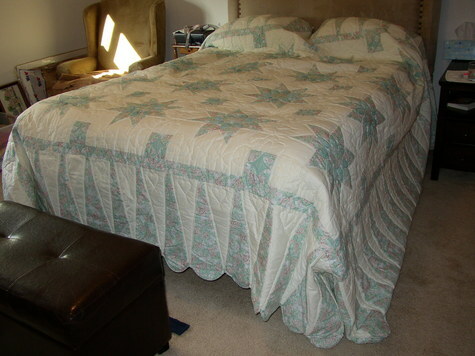 Handmade king-size quilt. Pattern is Dahlia. Made by Amish in Pennsylvania. Used very few times. Beautiful!